Seven years ago, I was surfing the internet looking to add a Dalmatian to our family and found “Daisy” on the Dalmatian Assistance League of Tulsa website. Never in a million years did I ever dream that that would be the beginning of our journey in the fire service together. We have been blessed with having so many amazing to share the fire safety message far and wide to millions of children and their caregivers. 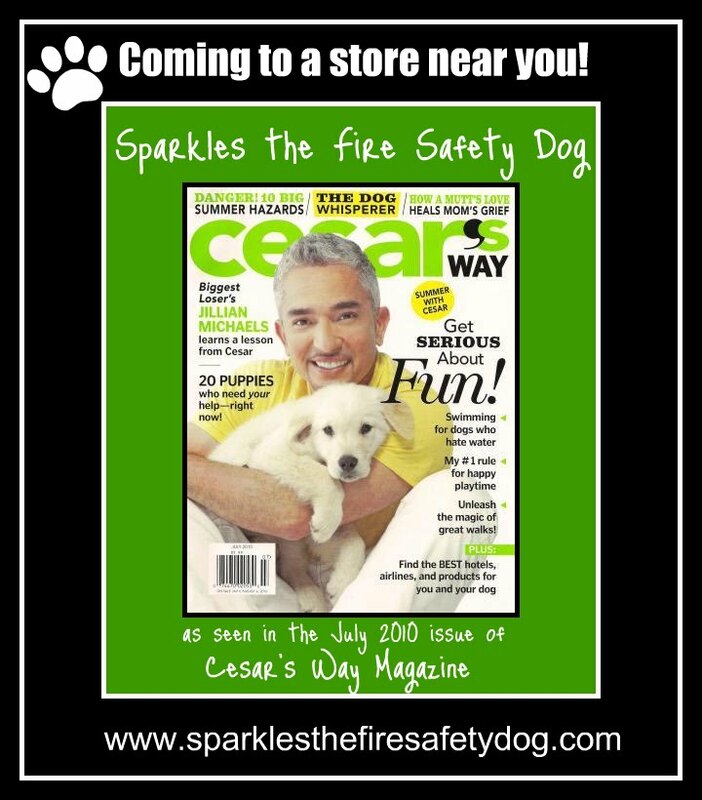 Thanks to Cesar Millan and everyone at Cesar’s Way Magazine, Sparkles’ story will be shared in a three page spread in the July issue of the magazine. We couldn’t be more honored and excited! 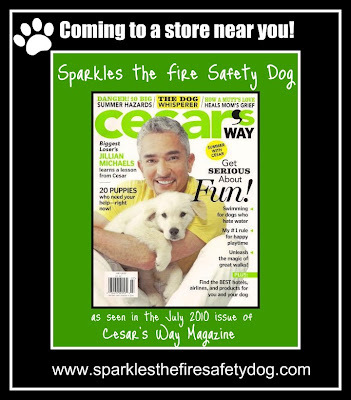 And, the icing on the cake is that the magazine will also include fire safety tips. This means more to Sparkles and me more than anything. Helping save the lives of children and their caregivers, reducing injuries and decreasing property loss from fire, that is our mission. Every fiber of our being is dedicated to helping keep everyone safe! Sparkles and I would like to share a very special thank you with Rick Markham, the writer of Sparkles’ inspirational story. Rick, we appreciate you more than you know and we enjoyed the whole experience so very much! According to his website, Cesar has been called a Dr. Phil for dogs, and for good reason. Cesar's amazing rehabilitations of aggressive, scared, lazy, compulsive, and jealous dogs captured the national spotlight when his National Geographic Channel (NGC) series Dog Whisperer premiered in September 2004. Regular viewers soon came to realize it wasn't the dogs but the quirky owners who needed Cesar's help the most. 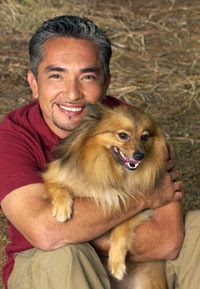 In January 2006, Dog Whisperer returned for a primetime second season with expanded hour-long episodes. The issue will be out on the shelves in a couple of weeks. We would love to hear what you think about the article!